When cutting with a ball end mill, there will always be ridges and valleys left from the radius on the bottom of the cutter. The height of these ridges increases with the amount that you “step over” your cutter. 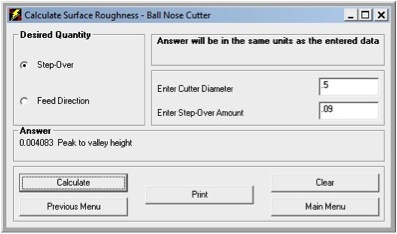 Calculate the expected roughness before you cut.